How Did Texas A&M 4-Peat as Women's SEC Champs Despite a Sprinting Deficit? 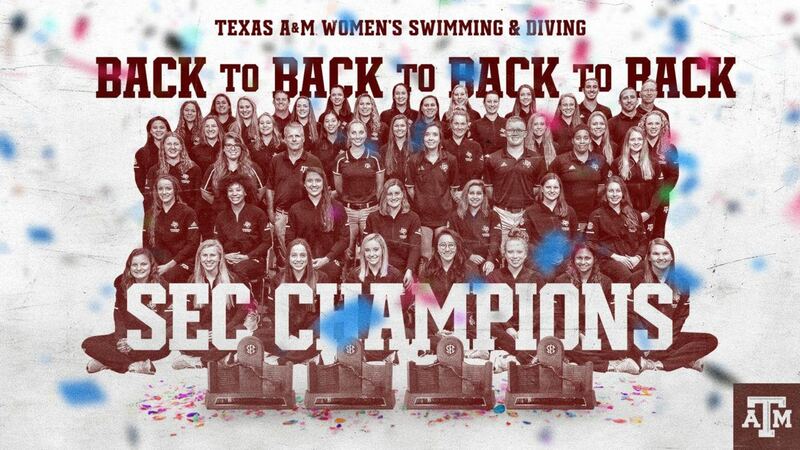 Tweet How Did Texas A&M 4-Peat as Women’s SEC Champs Despite a Sprinting Deficit? Texas A&M won their 4th straight SEC Women’s Championships tonight, fighting off a rebuilt Florida team. 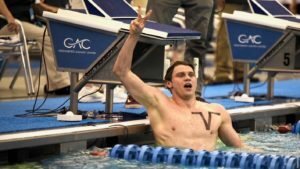 This A&M victory is an impressive one, especially considering this team’s weakest points are likely the sprint free events. 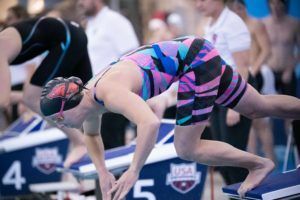 The Sprint freestyles are commonly thought of as the most beneficial events to a team, due to their double role as relay events, but A&M taught a masters class in how to get around that disadvantage. In total, the Aggies had 2 B finalist and 4 C finalists between the 50 and 100 free combined. Additionally their 200 free relay came in 5th, and the 400 free relay came in 9th. To add to the hurdles for A&M, Sydney Pickrem had to medical-scratch the 400 IM, an event where she was the defending champion. So the question now is how did they make it past that relatively large disadvantage, and did so fairly easily. The answer is actually pretty straightforward: they have a huge amount of depth. 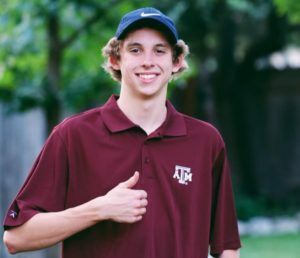 Only 1 swimmer did not score individually for the Aggies. Even more impressively, 18 Aggies scored 20+ inidividual points. That level of depth just wasn’t matched by any other team in the conference. 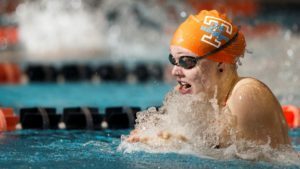 6 of those swimmers scored 50+ points, while Alais Kalonji scored 49 points and Taylor Pike scored 48. It should be noted that Pickrem would have all but certainly been the team’s top scorer had she swum the 400 IM. Incredible, but don’t give them too much praise. When my club team won their fifth straight Age Group title they celebrated, and as a result I made them do 10 x 500s as punishment. Celebration leads to complacency! Didn’t know Merv Marinovich had a swim team. sounds like a weak excuse to me. 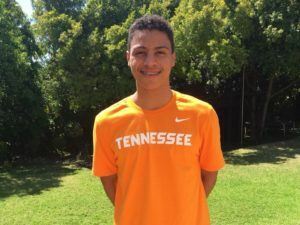 Tennessee has nowhere near the depth of A&M, plain and simple. “Doesnt explain all the points lost.” Not an excuse at all. Just a note. A&M is a great team, plain and simple. I heard it was 11 of the Girlie-Vols and 5 of the Manly-Vols came down with flu and food poisoning. One answer. S-T-E-V-E B-U-L-T-M-A-N and Tanika. Ok maybe that’s 2 answers.